Kane has over 17 years experience working as an electrician. He completed his apprenticeship in 1996 at Leeton Tafe College and worked for his father's company, George Duncan Electrical in country Griffith, NSW. He has worked in various roles including wiring winery's, industrial sheds, new homes service work and commercial buildings. After travelling through Europe in 1998/1999, he worked as an electrician in the UK. 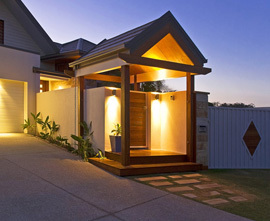 Kane moved to the Gold Coast in 2000 and started Kane Duncan Electrical Contractors in 2004. In 2010 with his passion and enthusiasm towards the electrical industry still as strong as ever, along with the desire to build a brand Kane developed a company that prides itself on exceptional work and strong ethics, thus creating Precise Power Pty Ltd. After years of developing relationships with major developers on the Gold Coast, Brisbane and Northern NSW regions Kane has earned Precise Power the reputable reputation it has today.